Time for the stampy orchestra to get going! 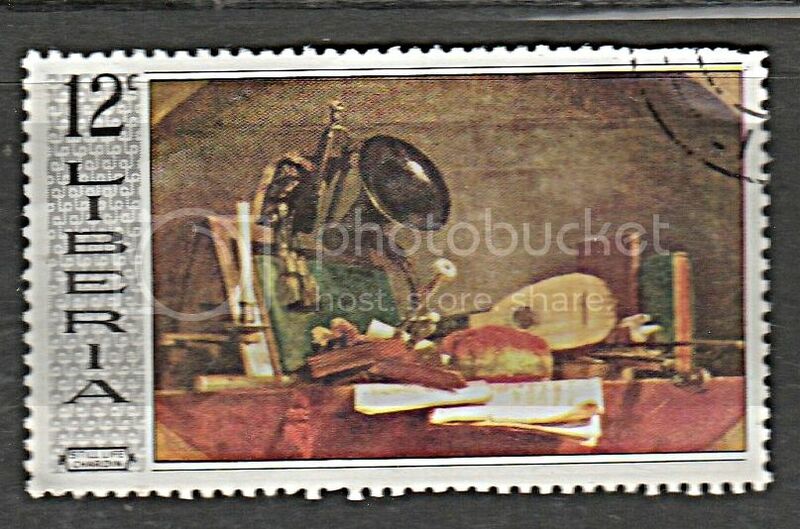 Please post here pictures of musical instruments on stamps. 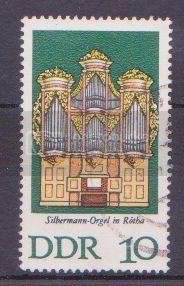 To start things off, here is an East German stamp of a pipe organ. Not exactly an orchestral instrument - but as an organist I can get close to the sounds of most standard orchestral instruments. The actual images are larger than what is shown on the board. 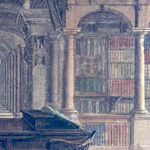 Just hover over the image, right click, and select "view image" to see them in more detail. 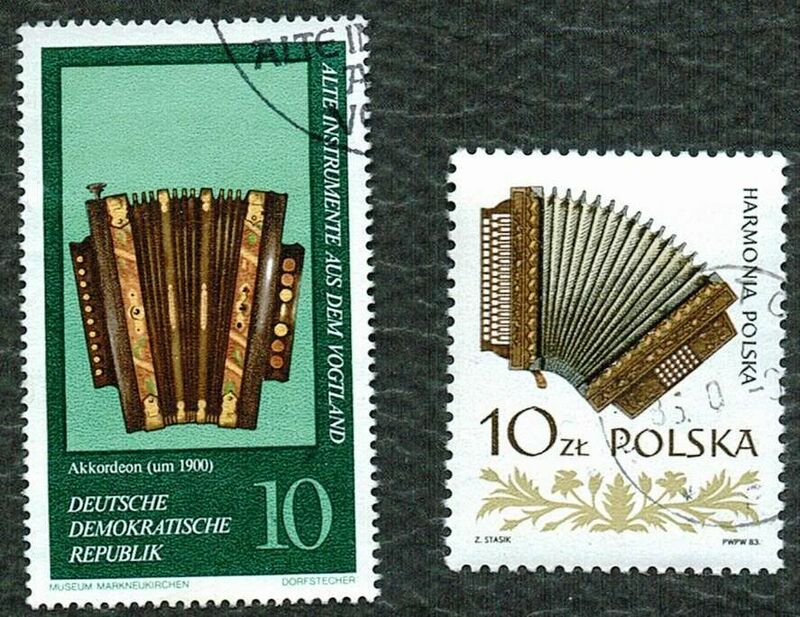 Great thread, I especially like the instruments from Korea. 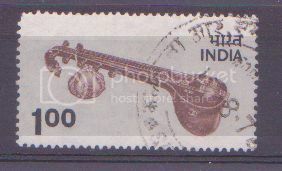 An Indian stamp showing a sitar - used in traditional Indian music but also by some Western pop bands from the Beatles on. 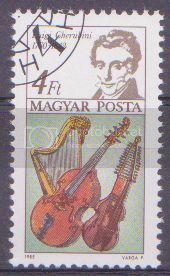 It was popularised in the West by Ravi Shankar. 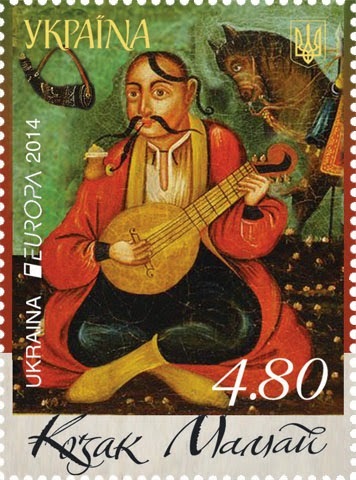 The Europa 2014 theme is musical iinstruments. the folks above seem to be following that too. Here is the organ at the end of the great hall of the Vienna Music Society Building. This building, dating from 1870 is also home to the Vienna Boys Choir. 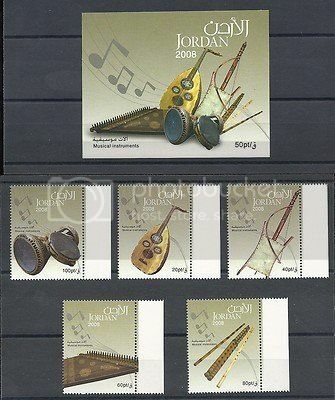 Some oriental string instruments on 1993 stamps from Hong Kong. Will ya look at all those musical instruments! Great thread, great posts! 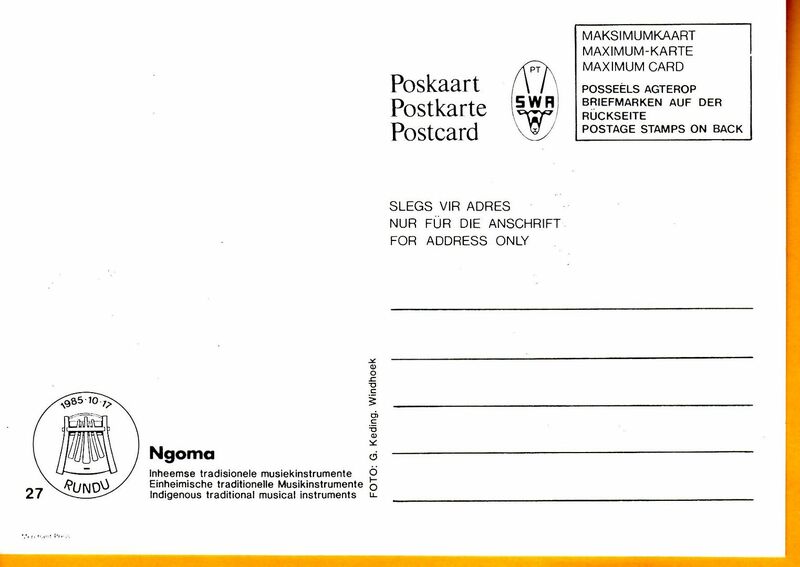 Maxicard from SWA (Suidwes-Afrika, currently Namibia). "Ngoma (also called engoma or ng'oma or ingoma) are musical instruments used by certain Bantu-speaking peoples of Africa; ngoma is, simply, the Kongo word for "drum". 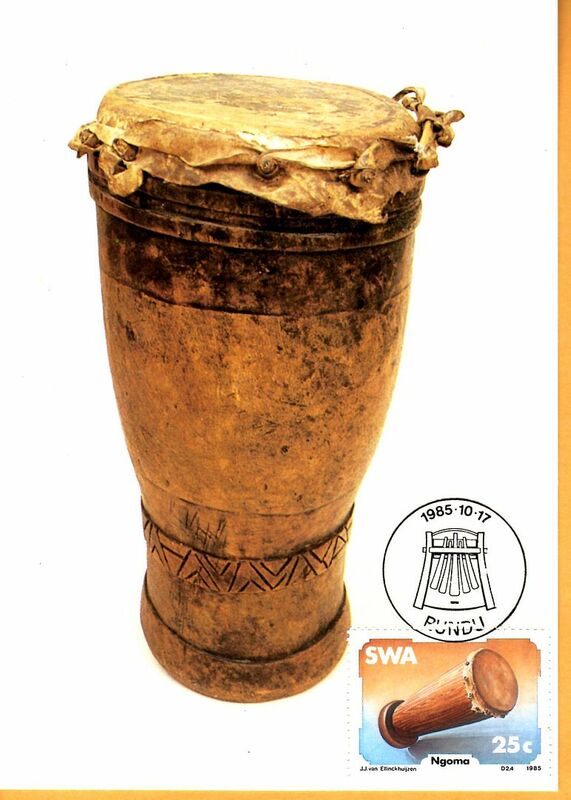 Different regions of Africa have their own traditions of percussion, with different names for their instruments. In kikongo "ngoma" is used by extension to signify specific dances, social occasions and rhythms." 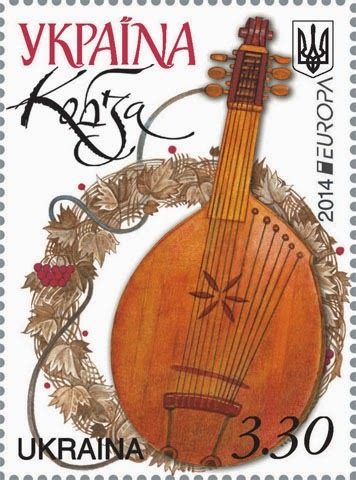 The Europa theme for 2014 is musical instruments. 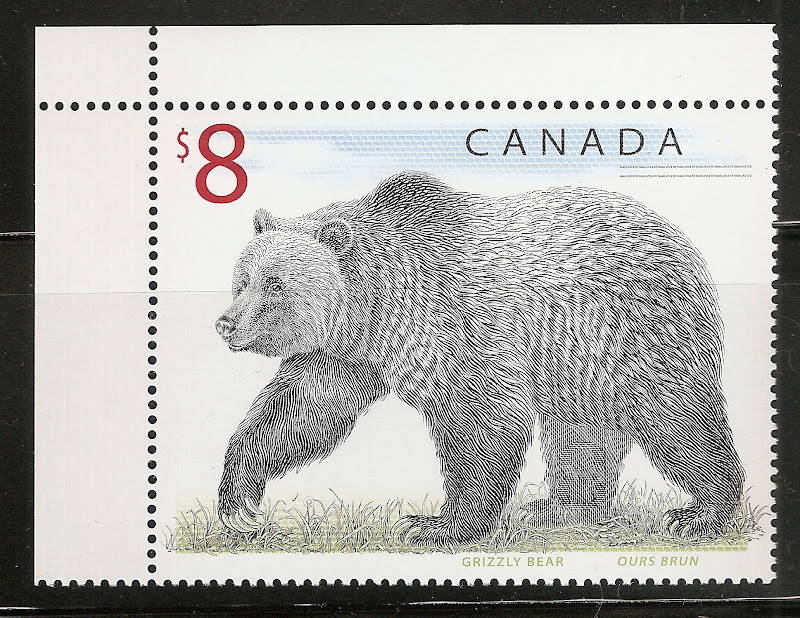 Here is the contribution from Eire. The left-hand instrument is a bodhran, a type of drum - similar drums are found in other countries with a Celtic tradition. Everyone will recognise the one on the right, so typical of traditional Irish music: I can hear the honeyed sounds now.